Such was the dominance of the big city clubs in Italy that only twice in over 20 years prior to 1985 had a team outside of Turin, Rome or Milan won the Scudetto, this dominance still continues as the following 32 years have only seen the title be lofted elsewhere on just three occasions. This statistic is what makes Hellas Verona unique, one of the last smaller teams and probably the smallest of all, to win Italian football’s biggest prize. Hellas were, and still are, a club of modest stature and prior to their Serie B title win in 1981/82 they only had a 1956/57 Serie B title to their name. In the early 1980s Serie A hosted several superstars of the era; Brazilians, Zico, Socrates and Falcao, future Ballon D’or winner, Michel Platini and German striker, Karl-Heinz Rummenigge, were among the elite. There was also the small matter of Diego Maradona’s transfer from Boca Juniors to Napoli in 1983 for a then world record fee of £5m. Platini and company may have been the marquee names but players such as Preben Elkjaer and Giuseppe Galdersi were about to gatecrash the party. Under the guidance of quiet and unassuming, Osvaldo Bagnoli, Hellas were promoted to Serie A for the 1982/83 season after flipping between the top two divisions for much of the previous decade. In a country still heavily influenced by Catennacio, Bagnoli became the master of a counter-attacking hybrid, where the team defended very compactly and were happy to concede possession only to break on the counter with their attacking full-backs, Mauro Ferroni and Luciano Maragon, ably assisted by sweeper, Roberto Tricella. Danish striker, Preben Elkjaer was arguably the star of the team. Bought from Belgian side, Lokeren, in 1984, after playing a vital role in Denmark’s Euro 1984 campaign, he scored 11 goals in his debut season and was the club’s joint top goal scorer. During Hellas’ title-winning season, Elkjaer scored a memorable goal in their 2-0 victory over Juventus; he received the ball in midfield, during a challenge outside the box he lost his right boot but continued and struck home with his bootless-foot. His efforts for club and country were recognised by UEFA as he came third and second in the Ballon d’Or award in 1984 and 1985 respectively. He scored a total of 48 goals in his four years for the Gialloblu, not a huge amount by modern football standards but one has to take into account the strict defences who patrolled Serie A at the time. He helped Denmark to the Semi Final of the 1986 World Cup with a hat-trick against Uruguay in a 6-1 win, that Denmark side containing Jesper Olsen, Michael Laudrup and Jan Molby is still considered to be one of the finest the country has produced. In the days of tough-Italian defending Hellas had their own physical, ball-playing defender. 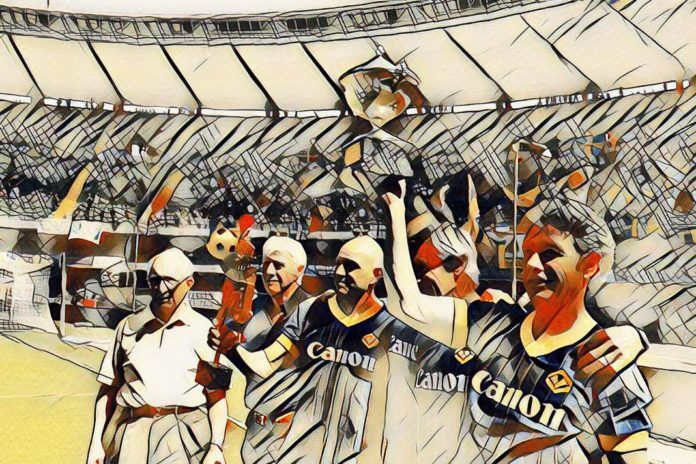 Hans-Peter Briegel brought agility, pace, technical ability and a goal scoring instinct to Verona’s title challenge. 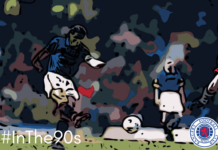 Instantly recognisable because of his preference to play without shin pads, he weighed in with 12 goals during his two years in Italy, nine in the title-winning year, and was instrumental in Hellas conceding a league-best 19 goals during that season. He played in two World Cups, 1982 and 1986, for West Germany and made 72 appearances. He also made history in 1985 as the first foreign-based winner of the German Footballer of the Year. Hellas quickly settled into life in the top division by finishing fourth, although they drew more games than they won, they only lost six times, proof that Bagnoli had already moulded Hellas into a tough, determined team who were more than capable of competing with the country’s best teams. Their Serie A results included a fine 2-1 home win versus runners-up, Juventus, although The Old Lady gained some revenge for that defeat by defeating Hellas 3-2, after extra time, in the Coppa Italia Final. Nonetheless, Hellas’ reward for an impressive first season was qualification for the following season’s UEFA Cup. Hellas reached the UEFA Cup Second Round before losing on away goals to Sturm Graz of Austria. They finished a respectable sixth place in Serie A; missing out on a European place by just three points. They only managed two away wins but only lost once at home and were victorious against the top three teams; Roma, Juventus and Fiorentina. On loan journeyman striker, Maurizio Iorio, finished as Hellas’ top goal scorer with 14. Again they suffered Coppa Italia disappointment as they made the Final but were beaten by Roma. The 1984/85 season saw changes in how referees were selected for Serie A matches as a result of measures brought in after the 1980 Totnero scandal in which a betting syndicate were found to be attempting to influence Serie A and B games, the result saw seven teams and 22 managers and players prosecuted. Lazio and Milan were amongst the teams to be relegated to Serie B. Before Totonero the referees had been selected by a committee but in an attempt to avoid any accusations of corruption the referees were selected randomly the week before the games. Italy is fond of a conspiracy theory and today allegations of favourable refereeing towards the teams from the big cities are still rife. It was hoped by randomly selecting referees a more level and transparent standard of officiating would be brought about. Hellas’ title-winning season is deeply ingrained in the folklore of the club and Serie A. They were undefeated in their first 14 games and the 2-0 victory over a strong Juventus side (bootless-Elkjaer goal and all), was a defining moment, as was the 1-0 home victory over Roma in March. Diminutive striker, Giuseppe Galderisi, finished as top goal scorer for Hellas with 11; noted for his work rate and accuracy he would go on to play for Milan and in the United States. He later became a reputable lower league manager and his most recent stint the dugout was at Lega Pro side, Lucchese in 2016. Hellas secured the title with a game to spare and in the end the gap to second place was four points. Again Bagnoli’s side proved difficult to beat as they drew 13 games and lost just two, one of which was against runners-up, Torino. The conspiracy theorists were given more ammunition in 1985 when the decision was made to revert back to the older method for selecting referees by committee. It is hoped it is merely a coincidence that this happened the season after a provincial team won the title and heavy favourites, Roma and Juventus, finished sixth and seventh. However, it remains a contentious issue for those who don’t follow teams from Rome, Milan and Turin. The 1985-86 season was something of an anti-climax as they finished way down in tenth position and only managed a solitary away win. Away defeats, 5-0 and 5-1, to Napoli and Udinese, respectively, affirmed their struggles away from Verona. They did, however, reach the second round of that season’s European Cup after beating Greek side, PAOK, 5-2 on aggregate. They were knocked out by Juventus in controversial fashion after a contentious penalty gave Juve the aggregate lead in the second leg. The first leg in Verona finished 0-0, however, the second leg, played behind closed doors due to punishments handed out after the Heysel Stadium disaster in the Final the previous year, ended 2-0 to Juve. Much like Zdenek Zeman’s Foggia team of the 1990’s, Hellas became a cult team in Italy and around Europe following their title win and subsequent European appearances. Inevitably, like Foggia again, their better players became very attractive to the country’s bigger clubs; Midfielder, Pietro Fanna, Roberto Tricella and Peter Briegel joined Inter, Juventus and Sampdoria in the years after Hellas’ title win. Their league fortunes fluctuated over the next five seasons as Hellas mostly finished in mid-table, however, they finished fourth in 1986/87 and made a club-best Quarter Final in the following season’s UEFA Cup. They were relegated in 1990 and Osvaldo Bagnoli left the club that summer having overseen the most glorious period in the club’s history. However, the financial pressures of higher wages for players who were in a now ordinary team, coupled with the subsequent relegation took their toll and Hellas were liquidated in 1991 before reforming in 1992 under the name Verona. Bagnoli had already moved on to his next role and achieved success with Genoa in 1992 as they finished fourth and reached the UEFA Cup Semi-Final. Success in Genoa facilitated a move to the San Siro to manage Inter in 1992 and the team finished second under his guidance the following season. He retired shortly after his sacking from Inter in 1994 and in January 2018 he was made Hellas’ Honourary Vice President. 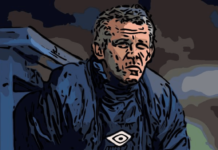 To purely attribute Hellas’ title win the random selection of referees is extremely short-sighted, Bagnoli moulded a team of hard-working, talented and tactically aware individuals into a title-winning team. Much of the credit for their triumph is heaped upon the players given Bagnoil’s quiet nature, however, he was a great motivator and had a very strong bond with his players and staff; the very fact he only used 17 players in 1984/85 demonstrates the faith in his first-team squad. It is sometimes a surprise to see a squad whose focus is solely on tactical awareness and good old-fashioned teamwork win a title as it doesn’t happen very often. Favourable comparisons with Greece’s Euro 2004 victory and of course, Leicester City’s 2016 Premier League win, are obvious. Those two victories, not unlike Hellas’, are probably the last of this kind we’ll see for some time, if ever again.